Fr Vincent Cooper, OSB, monk of Ealing, was one of the first who worked to establish this inter monastic dialogue in Britain. 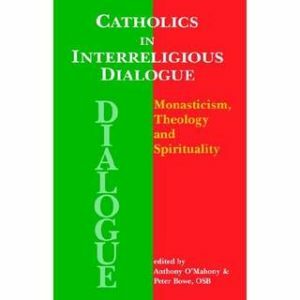 MONASTIC INTERRELIGIOUS DIALOGUE in BRITAIN & IRELAND: (MID-GBI) website no longer available. A British/Irish local commission of DIMMID existed for upwards of twenty five years. The trigger for its founding was the visit of Fr Bernard de Soos of the Alliance for International Monasticism: www.aimintl.org. Fr Bernard de Soos visited UK in 1982 and 1983 and asked Fr Vincent Cooper of Ealing Abbey to set up MID in Britain. Other members at the time included Fr Peter Bowe OSB (Douai), Dom Sylvester Houedard (Prinknash), Sr Mary Catherine Barker OSB (Fernham), Fr Stephen OCSO (Coalville) and Dom James Leachman (Nashdom). 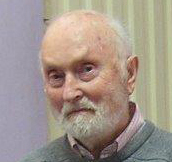 Fr Peter Bowe, of Douai, Britain (www.douaiabbey.org.uk ), took over as Coordinator on his return from a pilgrimage to India, in 1984. In the late 1980s Fr Martin Shipperlee of Ealing was Coordinator for a few years, and then Fr Peter took up the role again. In all, Fr Peter served as Coordinator for 20 years until his departure to found a new community in Douai, France in 2005. From then until 2013 the role of Coordinator was filled by Sr Lucy Brydon of Turvey Abbey. Whilst monastic interreligious dialogue continues unabated in Great Britain and Ireland, through force of circumstances the local commission was closed in July 2013. Japan: There is an interesting article on a Japanese Buddhist-Christian monastic experience of understanding in East-West Spiritual Exchange, October 5 to November 5, 1983 here. Fr Vincent Cooper was present, as well as the future Abbot Martin Shipperlee. Travels in India: Fr Vincent went to visit Dom Bede Griffiths in South India and stayed on the ashram. Griffiths, Bede Marriage of East and West. Griffiths, Bede. Return to the Centre. Griffiths, Bede. The New Creation in Christ. There is sadly little work in this area in Britain or Ireland at the moment. The Christian monasteries in Great Britain and Ireland, both Roman Catholic and Anglican, are committed to interreligious dialogue. For some monasteries this is expressed mainly by prayer, others are able to take a more active part in dialogue. Monks and nuns of different faiths have made exchange visits to each other’s monasteries over the years. They have discovered how much they have in common. They have been able to enrich each other’s understanding of their own and the other’s faith and practice. Some western monks and nuns have been able over the years to visit monasteries of other faiths in their country of origin—Tibet, Nepal, India, Japan—and have received Eastern as well as Western Buddhist and Hindu monks or nuns into their own communities for similar exchange visits. This has become known as the ‘dialogue of spiritual exchange’ and takes its place alongside the dialogue of theological exchange and the dialogue of life.